The European Medicines Agency has granted a licence for the use of a revolutionary new jab which promises relief for migraine sufferers. Sputnik spoke to UK migraine sufferer Nicola Flash about living with the condition. Erenumab, which will be marketed under the brand name Aimovig, is the product of years of research by Novartis and its US partner Amgen Inc.
Swiss pharmaceutical giant Novartis say it will be available privately in the UK next month but it is expected to be beyond the pocket of most migraine sufferers. Amgen will be charging US$575 (£440) a month when the product becomes available in the US in September, but many health insurance companies in America are baulking at the cost. Nicola Flash, a teacher from London, has suffered from migraines since she was eight and was delighted when she heard of a possible cure. "I have suffered with migraines for years and it is not getting any better. Only the other day I had one that was so painful I thought I was going to pass out. I was in complete agony," Ms. Flash told Sputnik. But she is concerned about the cost of the new drug. "It apparently is going to cost around £500 for every jab and if you are going to need one jab every month that is just money that I cannot afford. I really hope the NHS will agree to fund it for severe sufferers. We need help because this affects our lives," Ms. Flash told Sputnik. It will be up to the National Institute for Health and Care Excellence (NICE) to decide whether to make it available under prescription on the NHS in England and Wales. Can NHS Afford To Spend Billions On Migraines? The annual cost would run into billions of pounds and the government has already been warned of severe financial problems facing the NHS because of an ageing population. Erenumab was tested in a controlled study, the results of which were published in the New England Medical Journal. The trial discovered the drug reduced the number of migraine episodes from eight a month to four. Around eight million people in Britain — 75 percent of them women — suffer from migraines and symptoms including a splitting headache often combined with nausea and dizziness. Scientists believe a protein, known as calcitonin gene-related peptide, causes blood vessels in the head to swell, causing severe pain where they are intertwined with nerve endings. The new drug is designed to block the protein, preventing blood vessels in the head from swelling. "Erenumab for the prevention of migraine will be available privately from September, according to the physician discretion, and initial decisions on erenumab from the NICE and the Scottish Medicine Consortium are expected in 2019. No UK price is available at this time, but the list price will be made publicly available in due course," a Novartis UK spokesman told Sputnik. 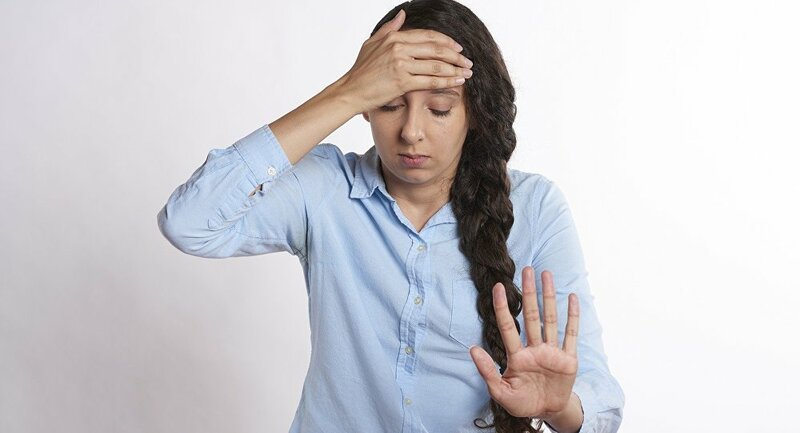 "Migraine is incredibly painful, and has symptoms that include vomiting and visual disturbance, so getting it frequently can literally ruin lives. That is why it is important that it becomes available to patients as soon as possible," said Wendy Thomas, Chief Executive of The Migraine Trust in a statement on their website. The Trust helped recruit migraine sufferers for trials on erenumab and she said the decision by the European Medicines Agency to approve it was "wonderful". The migraine medication market in the US alone is worth US$8 billion a year and four other companies — Eli Lilly & Co, Teva Pharmaceutical Industries, Allergan and Alder Biopharmaceuticals — are all working on new drugs which would rival erenumab. The US Food and Drug Administration is due to decide in September on whether to approve the new drugs from Eli Lilly and Teva. US President Donald Trump has urged pharmaceutical companies to refrain from raising prices but the firms argue that research and development costs are high and they need to make a profit for shareholders.